As the UK’s largest independently owned producer of recycled and prime polymers, this latest investment supports its continued growth strategy, increasing its overall production capacity by 22 per cent. Responsible for the manufacture of more than 45,000 tonnes of highly engineered thermoplastic compounds annually to both domestic and global markets, this new compounding line will enable Luxus to create an additional 10,000 tonnes. This major strategic investment has been made in response to the ever-increasing demand from clients for faster processing time scales and greater output, while still delivering the very highest quality technical compounds. Peter Atterby, managing director, Luxus, comments: “We are committed to producing high performance, yet sustainable compounds able to meet the demanding service and long-life requirements of rapidly growing sectors including, returnable transit packaging and civil engineering. Since Luxus works with materials from increasingly complex waste streams to help meet clients’ zero landfill goals, the compounding line will help satisfy these demands. It will deliver material process improvements that include, better devolitisation through increased surface renewal and filtration to produce innovative sustainable polymers that are now much closer to prime. This latest investment will help to secure the manufacturer’s future growth and will continue its tradition of innovation in the development of sustainable plastics. I initially started with Luxus as Administrator in April 1990 working at the original Belvoir Way, site covering the Reception, telephones and general office admin. Over the following months and years my role grew to include additional duties from assisting the Purchasing Manager and Logistics Director, to numerous accounts based roles. Over the years the company has grown not only in strength but size and now accommodates 4 sites along Belvoir Way. Outside of Luxus I’m a working mum to two teenagers, love walking with the family dog and try to keep active playing netball, running and attending classes at the local leisure centre. Peter has over 40 years experience in the plastics industry, having joined Luxus as a graduate apprentice in 1970. Since that time he has gained experience in various roles across the business becoming an Executive Assistant in 1973, then at the tender age of 28 he became a Director and five years later, he had proved himself sufficiently to be promoted to the role of Managing Director. 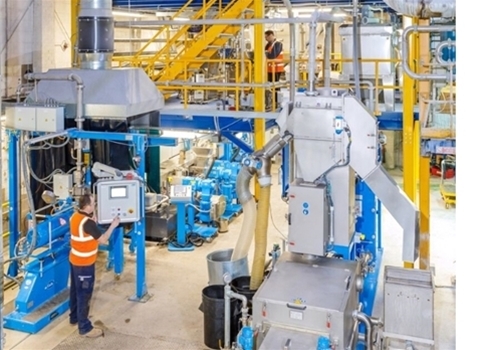 Today, Luxus has been transformed from a small plastics trading and granulation company to a leading technical compounding and recycling company with a turnover of £25m. Peter and his management team have successfully overseen the strategic direction of the company enabling it to become a key supplier in many markets, particularly the global automotive industry, revolutionising sustainable component design in the process. I started at Luxus in August 1997 in the Blending department and have since progressed through to the Production Schedulers role, while still maintaining overall control of the Blending department. Before coming to Luxus I had mainly been employed in the bakery business from leaving school so my first day here was a big change for me. Away from work I like to relax and my wife Sandra and I can often be found wandering round local car boot sales! Favourite food - I love spicy Chinese food, especially curries. I re-joined Luxus in August 2016 so I am now on my 2nd stint with the company. I have been working in the plastic industry since the age of 18, so 15 years and counting. Confusing for some as I do get ID’d for wine gums. I was told when re-joining I had one of the jobs no-one wanted, but I really enjoy it as no day is ever the same and I see every part of the business. The proudest moment of my life was becoming a Father to my Son and my hobbies are football, fishing, gardening and motorsport. I enjoy being the happy chirpy chap that will have a laugh. I have been the Technical Sales Manager for 6 years, but have over 36 years service in total. I completed an Apprenticeship in Store Management before moving into the plastics industry. Out of work I enjoy swimming, cycling, music and eating and my favourite place in the world is North Berwick near Edinburgh. I am married to Barbara and we have a cat called Snoopy. My biggest achievement is getting to 60! And my favourite food is chocolate. I began my journey with Luxus in 2012 as an IT Developer and recently accepted the role of IT Manager. I continue to enjoy the daily challenges a job in IT brings. I love the continued learning curve of my role and there is nothing more satisfying than watching people benefit from something you’ve implemented. In the relatively short time I’ve been with Luxus I’ve witnessed the company go from strength to strength and I hope to play a small part in that for many years to come. Outside of work I love to get out and about, learning and seeing new things. I’m a big fan of the States and have travelled to Florida (a lot), New York and Washington. California is high on my to-do list but next up on my travels is Dubai! Joining Luxus May 2018, I have only been here a short time, but it has flown by! Joining the industry is a complete change from previously working in a customer service role in retail. I have BTEC Level 3 diplomas in Business, Health and Social Care and Biology that I achieved at college. Out of work I enjoy to binge watch any TV drama going on Netflix, and although I try to always maintain a healthy diet, brownies are and will always be my weakness. I joined Luxus in November 2011 as an Extrusion Operator in the Recycling Department, after few months I was promoted to the position of Deputy Team Leader. In March 2017 I was offered to my current role as Shift Leader. Over the years being here I have gained a great knowledge about various polymers and have developed my leadership skills. I have recently finished my BSc (Hons) in Sport and Exercise Science. Out of work I like to spend time with my wife and my son, usually exploring different parts of the countryside. My biggest passions areTennis and Badminton and my favourite food is anything Italian! 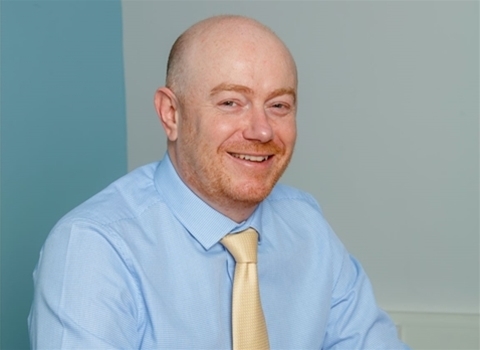 I have been at Luxus since February 2012, starting as a sales administrator and progressing to my current role, along with dabbling in a bit of marketing and PR along the way. I have been lucky enough to work with Luxus staff at various levels and from various departments which has been really useful to my development here. When I am not in the office I can often be found in my kitchen baking for my colleagues or in a nice restaurant with my husband indulging in our love of food. I joined Luxus in February 2016 with an aim to develop new and existing materials into new markets.I have a BSc in Retail Management (Leeds Met) and a GNVQ Business & Finance (High Melton College. Away from the office I like to balance the good with the bad – run & ride followed by pub & restaurant. My greatest achievement was to have cycled coast-to-coast in one day, this was followed by a big night celebrating and unfortunately I could only manage the train back the other way! Wednesday night is dancing night, initially forced into it by my lovely lady, now I enjoy it and pull-off a mean tango! My favourite place in the world is Sydney – it was meant to be a ‘stop off’ in my post-uni travelling but ended up staying for 1 year! I joined Luxus in 2016 as Logistics Administrator - a far cry from my previous career as a nursery teacher but it was the best move I ever made, I have learnt so much since working for Luxus and have the opportunity to work within a great workforce! I LOVE going to music festivals and concerts, cooking for my friends and family and spending time in the gym (ok, so maybe I don’t love that so much but my friends did warn me once I reached 22 I wouldn’t be able to eat enough for 10 people anymore) and of course… a cool Gin in the sunshine with friends is my happy place. I have worked at Luxus since August 1999. I started in Q-Polymers, under the guidance of Ian Pigot (great days) - I am sure he has a story or two! After only a few months in there I got the opportunity to move in to the Laboratory as a technician, where I have gained a great amount of knowledge in polymers and recycled processing. My current role within the Technical Centre is Laboratory Co-ordinator, and I take care of signing off all the finished production runs we produce, making sure they stay to the high standards Luxus is known for. My passions are Formula One and motorcycle racing, but not to the anorak levels of a certain colleague! I like travelling to hot destinations, my favourite so far must be Antigua. And you can't beat going out for a Sunday roast, which I like do once a month with my wife and a couple of friends. We are trying out venues all over Lincolnshire to hunt down that perfect roast beef! After spending two years working and travelling around Asia, Australia and New Zealand, I joined Luxus in September 2014 in the Purchasing Assistant role, looking after key suppliers, and continually sourcing new suppliers of redundant plastic. I am now responsible for the purchase of our Raw Material feedstock as well as Masterbatch, Additives and Fillers. Out of work I like to socialise, bake, and keep fit. Keeping fit to burn off the calories is a must for all the goodies I like to bake and eat, I am such a foodie at heart!! I accidentally started my lifetime career in the plastics industry back in the 1990s working for a Louth based plastics manufacturer during my school summer holidays. After completing my degree 5 years later, the draw of the UK plastics industry proved too great to ignore and I found graduate work in the plastics film industry. During my time in the industry I have worked at a number of UK manufacturing sites with responsibilities including Technical, Production and Commercial. With the increasing (and sometimes unjustified) consumer pressure on plastics and supermarket packaging, I thought it was a good time to look at joining a leading recycling/compounding company and was fortunate enough to have one recruiting on my doorstep! I joined Luxus in July 2018. I started at Luxus in 1968 at the age of 15 and since then I have operated all forms of machine starting with the kettle on my first day! I moved on to grinding scrap, FLT driving and training and then obtained my HGV class one (which I still have). Next was engineering, repairing and installing our machines, and I even ended up at night school teaching welding and turning. I then became the Recycling Manager for 20 years and more recently became Engineering and Project Manager. Away from Luxus I have been happily married for nearly 40 years and we have two great children. My favourite place in the world is my course fishing pond, but I also keep myself busy with DIY, shooting and gardening. Following 9 years of working in school administration I joined Luxus in January 2017 as a Purchasing Assistant. Everybody has been so helpful and supportive and my role has now developed to include arranging collections of redundant plastic material. It is great to see everybody working so hard towards the end goal and to see plastic recycled in this way. My previous achievements, both personal and professional, have been completing a full time B.A. Hons degree at Leicester University whilst raising my daughter and then becoming a Civil Servant in the Prison Service. But when I am not hard at work, you will find me enjoying long walks with my three labradors. I have been employed at Luxus since 2014. I am responsible for procuring parts to support the engineering side of the business, keeping critical parts at a level to allow the company to operating 24 hours a day. I was educated at Monks Dyke High School Louth, obtained a City In Guilds as a Motor Vehicle Technician, hold Nebosh certification in Health & safety & a CPC in National Road Haulage. I am an avid Cyclist and enjoy Ballroom Dancing with my wife Sue. Our favourite destination is Paris and we have three West Highland Terriers. I joined Luxus in June 2014 after spending my time before working towards my Sports Coaching Degree which I achieved prior to joining Luxus. I work in purchasing to meet and support the engineering and non-plastic side of the company. My interests are playing and coaching football which I currently hold a Level 2 coaching badge, Level 1 goalkeeping badge and I am a qualified football referee. My most recent and important hobby/interest is spending time with my little lad and making the most of the time I have with him (and the wife of course). Hi I'm Geoff I have 2 fantastic kids and partner called Gill (who is a saint). After leaving school I went to Riseholme Agricultural College which seemed natural as I was from a farming background, after a few years I fancied a change of direction so I join Luxus in 1998. I started as a extruder operator and have worked my way up though the company to be Production Manager for compounding. My proudest work moment was receiving the 'Employee of the Year' award at the company's 50th Anniversary celebrations. I joined Luxus in 1991 following an earlier career in agricultural plant breeding with Nickerson Seeds. I have held various positions and I am now the Purchasing Manager. Away from work I enjoy being outdoors in my garden or going for long walks. I am a member of the RHS and NT. I try to keep fit, cycling to work when I can. I also have a passion for most things with an engine, in particular classic bikes, cars and tractors, as well as motor sports. I am the weekend nightshift controller (joined Luxus in Sep 2004). I moved to Lincolnshire 12 years ago, which was a shock as I had never been North of Watford! I previously worked for 24 years with WH Smith. I am married with one daughter aged 8 and my favourite food is 'Pie and Mash ' from Chapel market London N1. My favourite place in the world is Mombasa and my least favourite is the M25. I have a passion for classic bikes and Jags. I joined Luxus in 1992 as a Lab technician. I have held several positions at Luxus and now I am the General production manager. I play guitar for relaxation. I have two pet Cocker Spaniels. My favourite food is Tandoori chicken. My favourite place in the world is Ajaccio in Corsica. My greatest achievements are marrying my wife Tina, then having my son Ben, then joining Luxus. 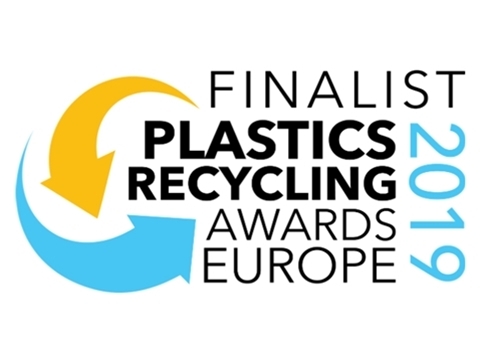 At Luxus I am immensely proud to be involved in the development and production of the finest technical recycled plastics in the world and to work with some of the nicest people I have ever met. I started at Luxus in 2010 as a Laboratory Technician, being promoted to night shift team leader in October 2016. I have recently been taken on as the Laboratory Manager, so a lot of new things to learn! On weekends I like nothing more than spending time with my kids and partner. Movie trips when a new Marvel film comes out are an essential. My favourite place that I have visited is Banff in Canada. I joined the Luxus Team in February 2018, after being a HR Consultant for 3 years. Prior to this I spent many years working in the Automotive Sector, managing the HR function across multi-site dealer groups. I have over 20 years’ experience as a senior HR & Recruitment professional working across a range of SME’s and corporate structure environments. I’m familiar with operating at senior levels, setting strategic HR Policy and governance, but equally I enjoy all operational aspects of people management. I have a strong commercial awareness and a practical approach to delivering high performance outputs including: building effective people infrastructures, performance management, employee relations, succession planning, and change implementation. In my spare time I like to keep fit and enjoy a great social circle, which includes the odd glass of wine here and there!! I have been with Luxus since 2001, starting as a machine operator. My current role is Day Shift Team Leader at Recycling since 2010. Over the years, I have seen many positive changes within the company and I am proud to have been a part of it. In my personal time, I go to archery and regularly compete at archery field shoots – I sometimes even come home with medals. I also enjoy woodturning and leatherwork. My wife and I like to travel and my favourite destination that I seem to keep revisiting is Scotland! I have been at Luxus since July 2011, starting as a Team Leader. During my first two years of employment I completed IOSH and NEBOSH Health & Safety courses. In January 2014 I became Health & Safety Co-ordinator and in February 2015 I was promoted to Health & Safety Manager. I am very proud to be a part of the Management Team in one of the most successful plastic compounding companies in the UK. I am typical audiophile and I can spend hours in my listening room if only I have time for it. I like to be active so I train as much as I can to keep me fit. I love holidays and travelling. My favourite place is the Greek island, Rhodes. I have worked at Luxus now for over 25 years, in that time I have gained a great deal of knowledge in polymers and recycled processing, working in the Technical Centre for over 22 years. I enjoy my role as development technician, constantly learning still and love colourmatch challenges. My favourite coffee maker is Adie Brown. My passion is motorcycle road racing and photography and have had articles and photographs published many times in the past years. I would love to go back to the Maldives one day where I spent my honeymoon, it’s just as good as it looks on TV. Hate cheese. I have just over 20 years experience of working for Luxus in two spells and I’ve had the opportunity to spend that time in several different departments within the company. I have recently taken up my new position as Blending Team Leader and have been enjoying my new role and the responsibility that goes with it. Outside of work, I enjoy spending time with my family and trying to show my children the wonders of Nintendo video games and Chelsea Football Club. After finishing University, I Started my life at Luxus as part of the Luxus Academy – An initiative set up to support and encourage people fresh out of Uni. For the first year and a half I worked in the Lab creating Recipes and performing the End of line quality checks on our compounds. I learnt a great deal in this time about the various polymers and got to understand the processes that take part in the factory. My next role was in the purchasing department where I learnt about the recycled Polymer Market as a whole, getting a firm understanding of how our suppliers operator. Both of these roles provided a firm grounding when I was asked to become Quality Coordinator and subsequently Quality Manager. What do I like to do in my spare time? Anything outdoors based, I Sail, I Scout, I live! Favourite food? I do not take bribes (Outright) but can be tempted with anything made out of Chocolate! I started with Luxus in 2006 as a Maintenance Engineer, more recently I moved over from the workshop to work with Peter Laking to manage the Engineering & Maintenance Department. I am fortunate to have worked in varied light to heavy industries as an independent contractor, gaining 25+ years’ experience since my apprenticeship, the last two years of which were spent with Luxus in the early 1990s. Motorsport has played a big part in my life from a young age, racing Karts as a teenager and later saloon cars in my 20’s, a young family and a mortgage took priority over this, but I still enjoy any motorsport where I can. I still keep some oil under my nails, there is always a project in the garage to keep me busy when not spending time with the family or chasing the dogs around a field! I started at Luxus Ltd in 2009 as a Production Team Leader, but quickly progressed to the Recycling Production Manager. I previously worked in the automotive industry where I gained a lot of experience in Lean Manufacturing processes and I try to implement these to continuously improve our business here at Luxus. This may also explain my love of F1 where even the smallest of improvements are key. Outside of work, my wife Fiona and I have two wonderful children and I enjoy computing, caravanning (sorry for the delays!) and BBQ cooking but I do my best to avoid any decorating or shopping trips. Almost 20 years ago after leaving University with a degree in French and history I started working in the Sales Department at Luxus whilst I decided what I wanted to do with my life and am still here! Out of work I have a lively 9 year old minecraft obsessed son and an even livelier 2 year old black lab which keeps me busy. Of course there is always time to fit in “sophisticated” wine evenings with good friends. We can buy your scrap plastic at competitive prices, or recycle and return. Leading engineering plastic manufacturers providing exceptional opportunities. Browse our available downloads, such as brochures and vacancy forms.